Hi Guys, hope you've all had a great weekend! I've been super busy this week and just arrived back in Gibraltar on Friday for my Christmas holiday. 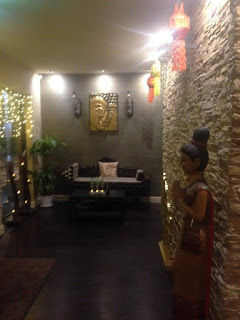 This month has been pretty fun but stressful, so I was very excited to receive my first Thai massage at a Central London boutique. Read about my experience below! Thai Kosai is located just a few minutes from Liverpool Street, making it very accessible, and more so it's open until 9pm Mondays - Fridays, which means you can pop in straight after work when you need a little pick me up! They offer a range of treatments, including a Thai aromatherapy massage, a traditional one, deep tissue massage and so on. 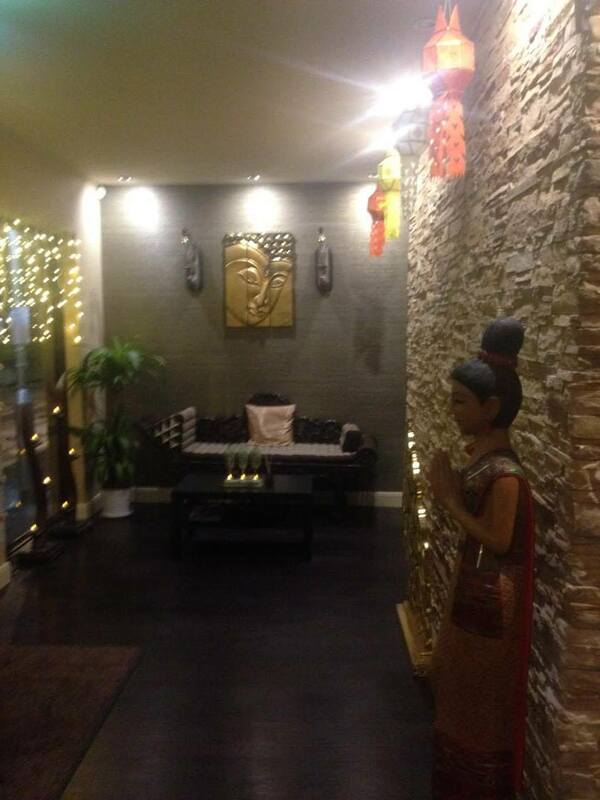 The boutique is beautifully decorated, with authentic decor brought in from Thailand. 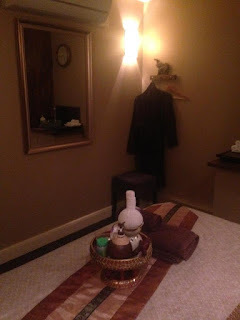 The therapists are all qualified masseuses and make you feel relaxed and comfortable. There are 5 treatment rooms and each one is themed and spacious. The place also offers complimentary showers after your treatment if need be. Not to mention the staff are very nice and hospitable! Everyone knows massages are great for relaxation, but Thai massages are also great for your posture, health, blood pressure and to relieve the tension in your body (and get rid of knots! ), not to mention I slept like a baby after. Now on to the important part, my experience there! Before my massage began I was offered a selection of teas, to which I enjoyed some peppermint tea. The room was dimmed and some relaxation music was played in the background. I received a mixture of a full body aromatherapy, traditional and deep tissue massage so I could compare them all and tell you about them! Depending on how relaxing you want your massage to be, you can ask for various pressures, I went for medium to be on the safe side and still feel the effects. Being my first Thai massage I wasn't sure what to expect, some parts were slightly uncomfortable but that was also due to the fact I had a lot of tension built up on my shoulders and neck, probably from the amount of hours I am sat at a desk at work! I particularly enjoyed the aromatherapy massage as I enjoyed the selection of oils and hot towels. The massage lasted 1 hour, but treatments for 1/2 an hour are also available. When it was time to get up I felt like I was in cloud 9 so had to sit down for a bit as I had been so relaxed, I sipped some more peppermint tea and rinsed off before heading home. When I got home I could already see how much "looser" my body felt, your body may feel a bit sore after because of all the pressure on your body, but you'll wake up feeling amazing. You've heard about my experience, now try it for yourself! This would make a great Christmas present for your girlfriend, best friend, family member etc. and you will also receive 10% off a 1 hour massage when you book in advance and use the code GIANA10 - if you do, be sure to let me know how your experience was!